What is the Shahada? The basic faith statement of Islam. The Shahada is the first pillar of the five pillars of Islam. The word means testimony. This basic creed is the foundational statement of faith for all belief in the Muslim tradition. In order for a person to become a Muslim, they must make state the Shahada with heartfelt conviction, for all Islamic practices and beliefs flow from this basic understanding of truth. For those born into the faith, it is whispered into the right ear of the new born child. It is whispered into the ear of all Muslims in their dying. It is repeated in each of the five set of daily prayers that make up the salah, the foundational worship for Muslims. Where does the Shahada come from? From before and after Muhammad. 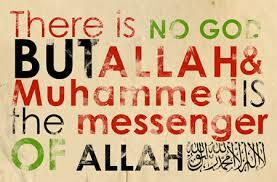 The first part of the shahada - There is no god but God - existed before the Islamic faith came into being. It was part of the faith statement of the Jewish and Christian people. "Hear, O Israel The Lord our God is one Lord." (Deuteronomy 6:4) "The first of all the commandments is, "Hear, O Israel; the Lord our God is one Lord." (Mark 12:29) And it is in the Quran. "Worship God! You have no other god but Him." (Quran 7:59, 7:73; 11:50, 11:84; 23:32). Above all, it is a statement that there is only one God to be worshipped. The second part of the Shahada - Muhammad is the messenger of God - was added by the prophet Muhammad. Muhammad was born in Mecca in Arabia in the year 570 CE. He is considered by Muslims not only to be a prophet, like the prophets Abraham, Moses and Jesus before him, but also to be the final messenger of God. The Shahada is found throughout the Muslim world in its architecture. And it is found in its art. 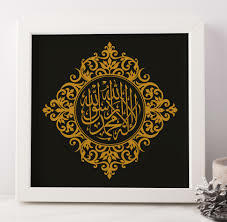 It is customary to have the Shahada displayed in a Muslim home. 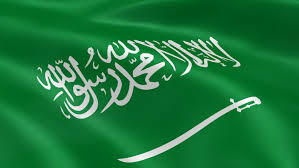 These three Islamic states have the Shahada on their flags. Flag of Republic of Somaliland, a self-declared state internationally recognized as an autonomous region of Somalia. Why is the Shahada important to Muslims? Why is it repeated so often during the day? This one statement draws all attention to Allah and Muhammad. And from Allah and Muhammad comes all belief and instruction for Islam. It is a simple, foundational statement of faith from which flows all of Islam.